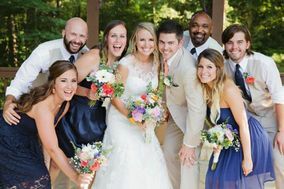 Cassey and her team are more than wedding planners or day of coordinators they become your friends. They make you feel special and they truly are there to serve you. They do it best! Thank you Cassey, Dan, Taylor and the rest of your crew for making our wedding day super special. We loved your rental line too. Made the day even easier! Cassey also is a florist and made my floral arrangements. They were awesome. My bridal bouquet made my cry because it was so beautiful. Petals and Pearls are worth every penny and more! Cassey and her family are AMAZING! They made sure that my day was just the way i wanted it to be! We hired Cassey to do all of our flowers and to coordinate the day of as well! There were no slip ups on my big day! I can honestly say that I was a stress free bride because of Cassey!! Her and her team are worth EVERY penny! My flowers were absolutely stunning and the set up of our reception space was amazing. Not only did she do an amazing job, but she is such an amazing person and truly shows how much she cares about you and making your day special. I would highly recommend her for both your floral and coordination needs! Cassey and Dan were a blessing and the best we could ask for. 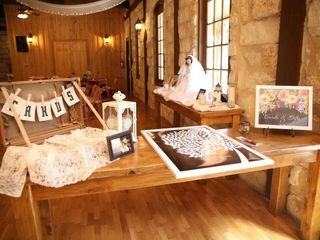 Our decor was beautiful and simple and she even Incorporated my personal signs for the aisle which made it even more special. She was on top of my vendors on the day of the wedding as my coordinator doing things behind the scenes that i wasn't even aware of. They worked extra hard to make sure the day went by without any major hitches. We are thankful for them and we highly recommend them to anyone looking for dedicated, prayerful and awesome couple to handle decor and coordination. I was recommended to Petals and Pearls by a friend of my mother-in-law and we just loved working with Cassey! Cassey met us the first time about 3-4 months out from our wedding and I had personally planned most of the big day myself but was so grateful for Cassey's diligent help in the last stressful months. 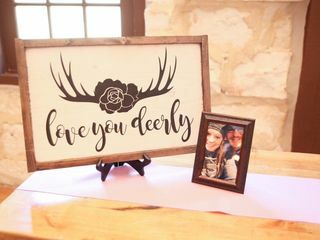 Cassey handled all the nitty gritty details and coordinated our wedding day beautifully. I had zero complaints with any of my vendors, and if there were issues behind the curtain I never knew. 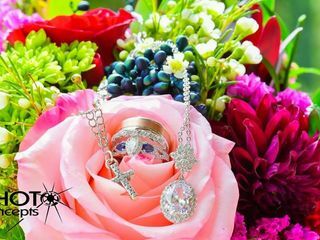 Petals and Pearls may be a company but they sure do treat you like family and make their brides feel so special and are taken care of. I will recommend them to any friends or family wanted someone to coordinate/plan their big day! Thank you for your love and help! 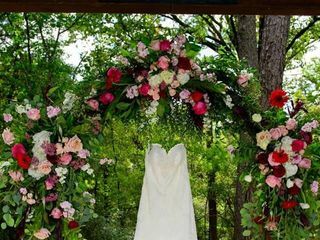 Cassey is a very talented and professional florist, decorator, and wedding planner. We have been very pleased with all the work she's done for us and our clients at the 1899 Farmhouse! Highly recommend her and her entire Petals & Pearls team! Thank you Shea Lyn for your kind review! 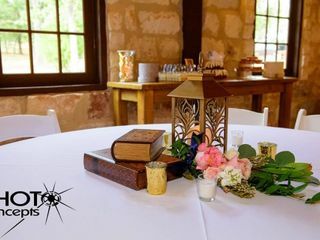 It is always our pleasure to serve weddings at the 1899 Farmhouse and we appreciate you and Richard and your hard work to make the Farmhouse a favorite venue for everyone! The Petals & Pearls Team appreciates a Great review! Where do Megan and I begin?! You were amazing. Plan and simple. You and your family went above and beyond and made our wedding more miraculous than we could have had ever hoped! I personally want to thank you. As much of a blur as the night was, the one moment you told us to stop, breath, and look at our family and friends from the alter, is the one moment I remember the most vividly! Thank you for that. I used Petals & Pearls for our wedding at our home for both flowers and day of services. The extra help to make sure everything and everyone was in place and on time was a huge help! The flowers were exactly as I requested. Cassey was very responsive throughout the process. I valued Cassey so much that I also asked that she do the flowers for my girlfriends wedding a year later. I acted as the wedding coordinator for my friend but Cassey was there for me to help talk me through a hiccup that happened at my friend’s venue and her experience was a big help. Again – much appreciated! So professional and down to earth! I didn't have a huge vision for decorations or flowers. All I had to do was tell Cassey the colors and she made it happen! I absolutely loved my centerpieces and my floral arrangements. 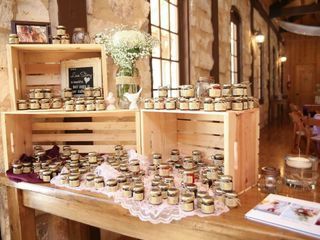 She is an expert on rustic southern weddings! She was also an amazing day of coordinator. Everything ran smoothly (as far as I was aware). She really goes out of her way to make sure the bride is not stressed on her wedding day. I cannot thank her and her team (family) enough for making my day perfect. Thanks to Cassey with Petals and Pearls my daughters wedding was absolutely PERFECT! Her professionalism an how she handled every detail was perfect. The flowers were exactly how we described our vision for them. Beautiful! The best service ever! 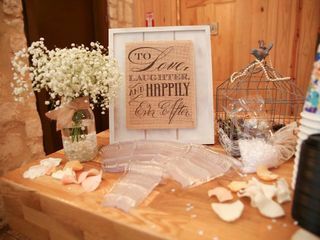 Cassey and her team at petals and pearls is the best decision you could ever make when planning your big day!!! We met with the vendor on multiple occasions to discuss the wedding; even emailing and texting pictures. Unfortunately the day of the wedding, many of the flowers, including the succulents that were to be a focal point were left out. The quality of the flowers for the price we paid was sub par. The vendor is a nice lady but the attention to detail and ability to solve the problem when it arose was an epic fail. Likely an over commitment on her part but unfortunately her forgetfulness and lack of planning did cause the vision we had for the wedding to be lost. We made due with an amazing venue coordinator and her team.